Although they do not have red bodies, Costa Rican Red Tarantulas are appealing, medium-sized, tarantulas. They get their name from the shaggy red hairs on the legs and abdomen. 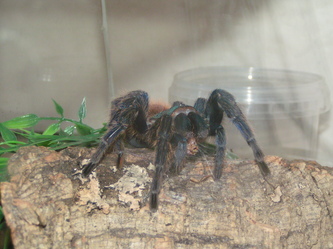 Costa Rican Red Tarantulas actually have a black to dark brown overall color. 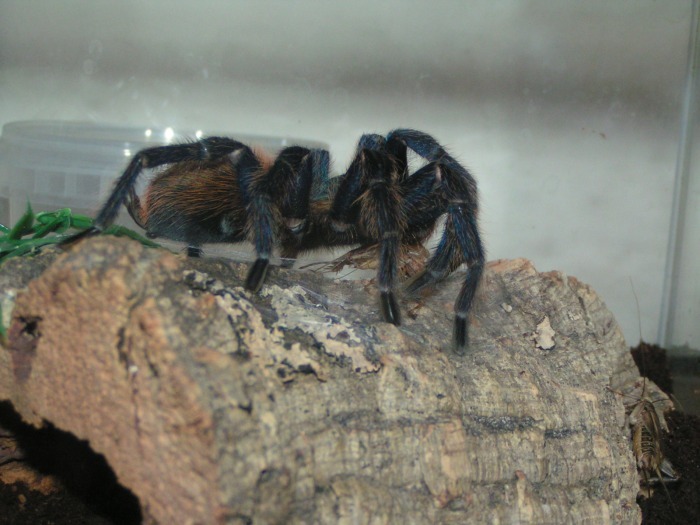 These tarantulas are not as docile as other Brachypelma species, but they are just as rewarding. Costa Rican Red Tarantulas will flick urticating hairs as a primary defense. They are smaller than most Brachypelma species also, but they are heavy-bodied. 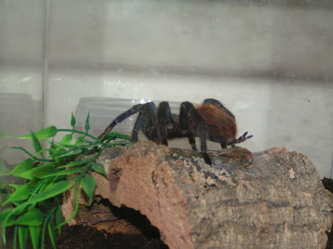 Costa Rican Red Tarantulas are pretty hard to obtain in captivity. 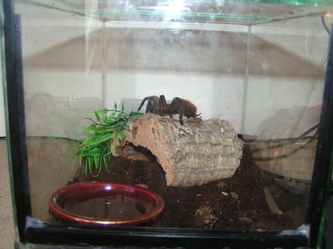 Surprisingly, Costa Rican Red Tarantulas are usually not very expensive though. They resemble Mexican Redrump Tarantulas (Brachypelma vagans) in appearance, although Mexican Redrump Tarantulas are generally larger. 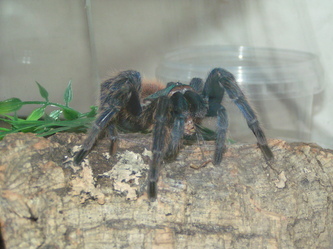 If you a beginner, and are looking for a less docile species, the Costa Rican Red Tarantula should be considered. Forests of southern Mexico and Central America. Spiderlings eat pinhead crickets, and other small insects. Adults eat crickets, and other large insects. 75 to 80%. All tarantulas that have at least a 3" legspan may drink from a shallow, wide water dish. Spiderlings can live in a clear plastic deli-container with air holes. Adults can live in a 5 to 10-gallon tank. Floor space is more important than height. 2 to 3 inches of peat moss, or potting soil. Logs, driftwood, cork bark, etc. make good hiding places. 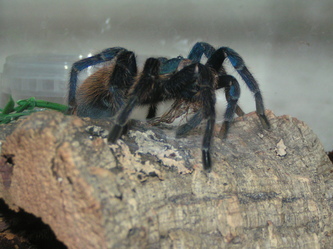 *Please note that ALL tarantulas have a certain amount of venom. Although most people are not affected by this species, some people may be allergic to the venom, or just more sensitive, making it a dangerous situation. 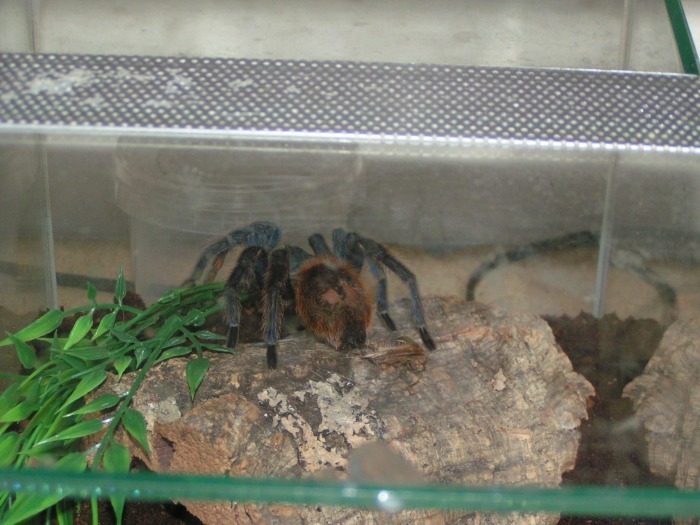 This is one of the reasons that people should not handle this tarantula. 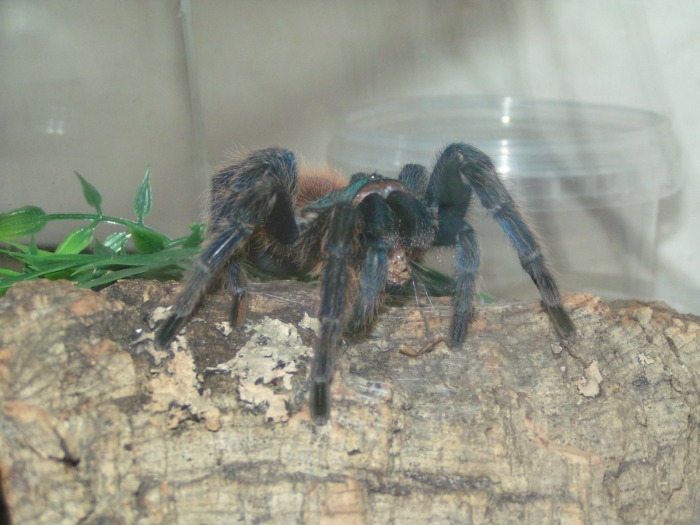 Also, New World species of tarantulas like this one can flick urticating hairs off of their abdomens, which can also cause a reaction, depending on the person. Affects of this tarantulas' natural defenses may vary between people. All tarantulas should be considered dangerous, so be careful, because you don't want to find out if you are allergic or more sensitive the HARD WAY!